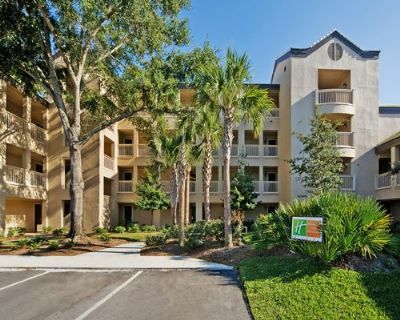 An enchanting enclave on Florida’s Gulf Coast, Holiday Inn Club Vacations at Bay Point Resort offers all the key ingredients to a perfect Sunshine State vacation. 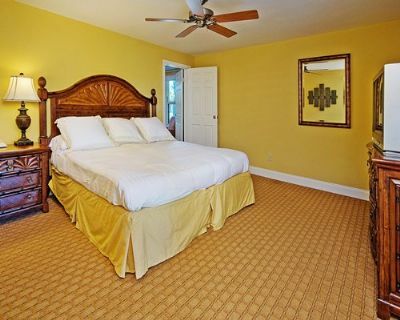 Ideally situated in Panama City Beach just two blocks from St. Andrew’s Bay, this glorious getaway is tucked away on a stunning 1,100-acre wildlife sanctuary, just minutes from two prestigious golf courses. Buy a Bay Point Resort timeshare today from our excellent selection of properties for sale by current owners and start making magical memories with your family while saving a bundle over original developer’s prices. Spectacular one- and two-bedroom golf villas feature inviting tropically-inspired décor and include private balcony, spacious living and dining areas with pull-out couch for extra guests, fully equipped kitchenette, king sized bed in master bedroom and two doubles in the other bedroom. 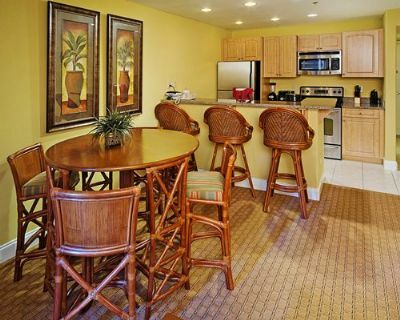 Kick back after a busy day with complimentary wireless internet, flat screen televisions, cable/satellite service and DVD player. 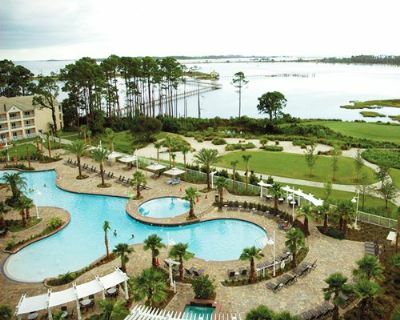 Family fun is endless at Holiday Inn Club Vacations at Bay Point Resort, with on-site dolphin tours and all sorts of watercraft rentals from wave runners to sailboats and kayaks. Full service spa, a lively variety of eateries, tennis courts, private beach and gorgeous golf villa pool are just a few of the amazing amenities. Pack the kids up and head to the beach, just a ten-minute car ride away, and set them loose on 27 scenic miles of white sandy beach fringed by translucent emerald seas. After a day of fun in the sun and out on the water, head back and enjoy a spot of relaxation by the beautifully landscaped outdoor pool and a luscious dinner at one of the Bay Point Resort’s excellent selection of restaurants. If you feel the need for some off-site entertainment, there’s plenty to be found in and about Panama City. Some of the loveliest seaside communities in the state are just down Route 30A, so be sure to plan a day trip along this scenic route to explore artsy villages, delectable seaside eateries and miles of gorgeous shoreline. Other attractions include Shipwreck Island Water Park, Pier Park, Race City, Zoo World, Alvin’s Big Island Magic Mountain and Gulf World Marine Park. All the magic of this stunning stretch of the Florida Gulf Coast is yours when you buy a Bay Point Resort timeshare. 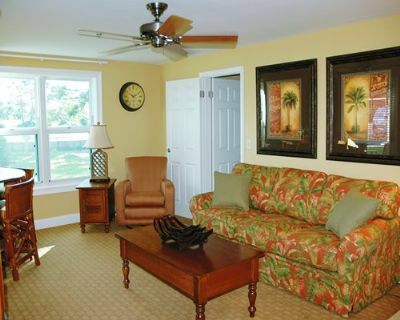 Contact Holiday Inn Club Vacations at Bay Point Resort Specialist Today!